More than 5,000 Australian charities will receive a “red mark” next to their name at the end of this month for failing to meet their reporting obligations. 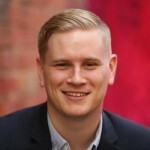 For only the second time since it was established in 2012, the Australian Charities and Not-for-profits Commission (ACNC) will visibly warn donors and volunteers that some organisations are six months late in filing their annual reports. 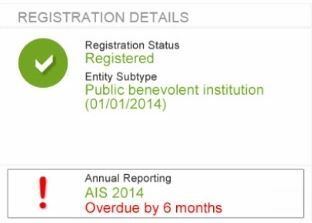 These charities will receive a red indicator showing their failure to submit their 2014 Annual Information Statement on their listing on the ACNC Charity Register. ?ACNC Commissioner, Susan Pascoe, said charities with overdue 2014 Annual Information Statements need to take urgent action. “The ACNC Charity Register receives hundreds of thousands of views each year and now the public, donors and grant-makers can see if your charity has not met its legal obligations,” Pascoe said. Pascoe said that the ACNC had a duty to the public to make it clear when charities were not doing the right thing. “The ‘red-mark’ for those charities that are six months overdue in their reporting helps the public identify charities that are not meeting their obligations. This may influence decisions regarding donating and volunteering,” she said. Pascoe reminded charities that continued non-compliance could result in harsher penalties, including losing their charity status. “The ACNC recently revoked the status of over 5,500 charities that had not completed both their 2013 and 2014 Annual Information Statements, which means they can no longer access Commonwealth charity tax concessions." Charities can check their reporting due date by viewing their charity’s entry on the ACNC Charity Register or by logging into the Charity Portal at charity.acnc.gov.au.